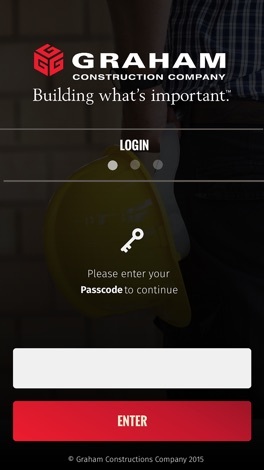 Added new menu items to get back to the project screen if you have multiple projects associated to your login. *Live Camera feeds from the construction site. *Information regarding the Graham Team working for them, including name, position, phone number and email address. *Images and blueprints regarding their construction project. 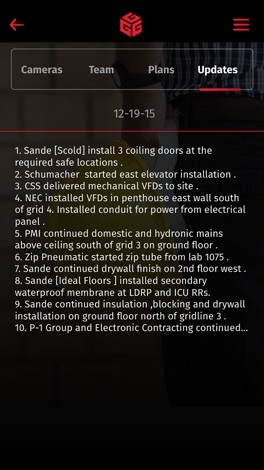 *Project updates regarding their construction project from the Graham Team. 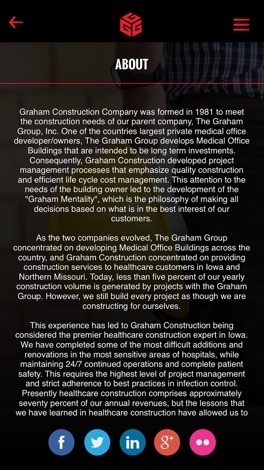 *Contact information for Graham Construction.